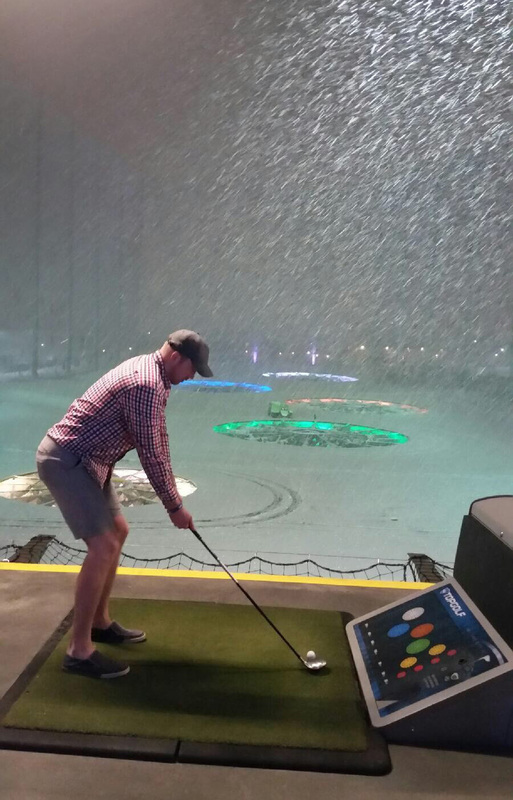 What Happens at Topgolf When It Snows? Topgolf is a global sports entertainment brand, having grown to 31 venues worldwide in the last 17 years. With rapid expansion underway around the globe, Topgolf has, at times, run into some interesting climate challenges. Currently, there are multiple venues located throughout “warm” states such as Arizona, Texas and Florida. There are also the “cold” states, such as Colorado, Illinois and Utah, along with many others. Many Guests are surprised to learn that because our hitting bays are climate-controlled, Topgolf is open 363 days a year. But one might ask, “What happens to the field when it snows?” Let us tell you how we handle the snow so you can handle your club. Enter the Topgolf Snow Team! Snow Team isn’t always fun and games though. Each cold-weather venue has a voluntary snow team. This includes Associates from each department of the building, from Bay Hosts and Bartenders to Guest Services and Chefs. 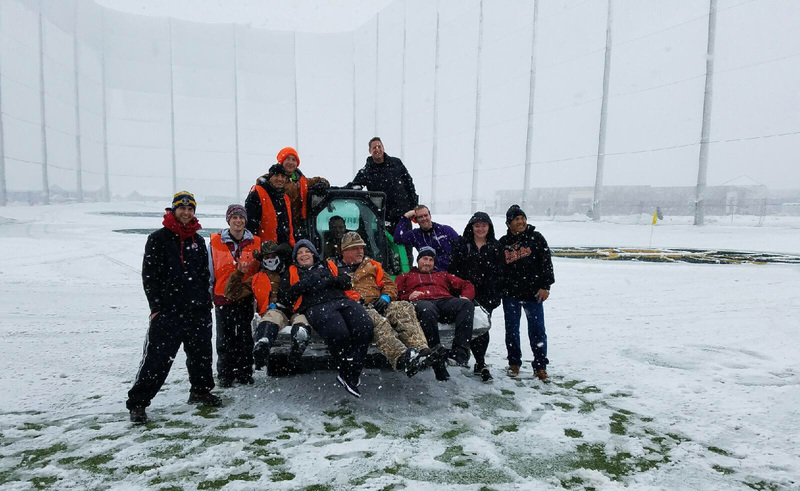 Together with the Facilities crew, the snow team’s one priority is to get Topgolf open on time. Usually arriving at 5 a.m. on snow days, the snow team has four hours to set the building up for a successful day. With the weather sometimes as low as two degrees Fahrenheit, it can be tricky to know what to wear to stay warm. Anthony Smith, a Snow Team/Bay Host at Topgolf Salt Lake City said, “The wind is what gets you the most, so I’m always wearing about four or five layers.” When asked, the majority of the Snow Team said they wear between three and six layers, depending on comfort. We can’t forget about all the equipment needed to help clear out the snow. 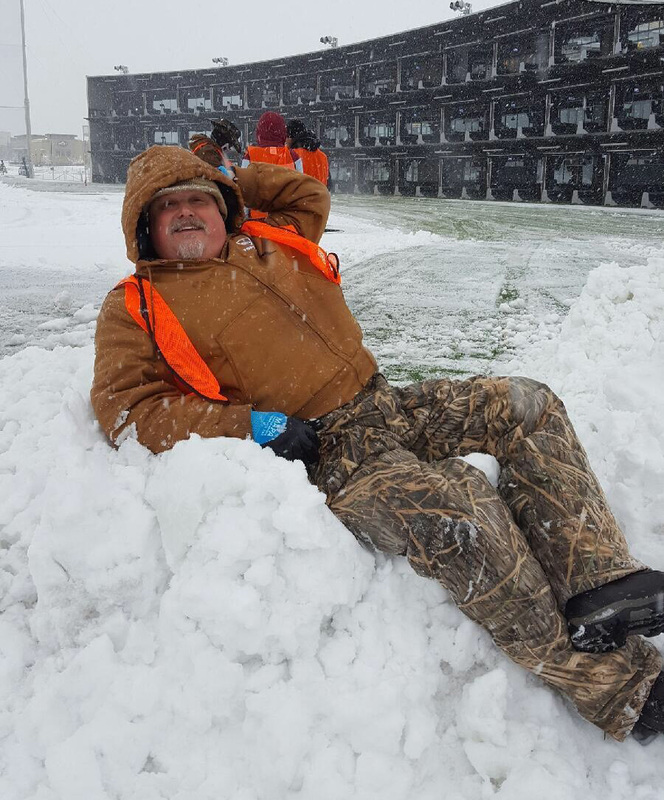 Each cold-weather venue is equipped with a Ford F-150 with attached plow, a bobcat, two snow blowers, eight snow shovels and a huge pallet of ice melt. After hours of hard work, it’s the kitchen who helps finish off the day. Chefs come in early to help prepare a hearty breakfast to help replenish the energy used to clear the field and targets of snow. All of these Associates make it possible to open on time and create a great experience for all the Guests. Without awesome Associates and their #OneTeam mentality, none of this would be possible. And because this all happens in the wee hours of the morning, it almost always goes unnoticed. So THANK YOU to all our Snow Teams at Topgolf. Cold-weather venues wouldn’t share the joy of Topgolf without you. Tyler Beauchamp Graduated from the University of Utah in Marketing and since then has been working none stop. 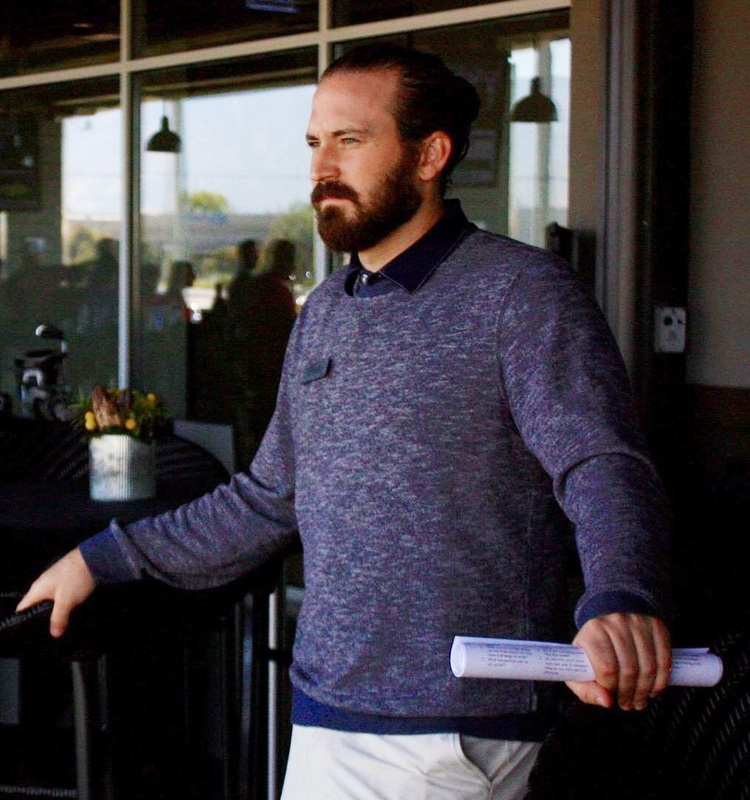 Tyler’s worked in the Sports and Entertainment industry for over 9 years working for the Utah Jazz, Salt Lake Bees, University of Utah Athletics, Pac-12 and now Topgolf. During football season you’ll find him watching football non-stop either at his house or at Rice-Eccels Football Stadium in Salt Lake City. Any other time of the year, you’ll find him crying often because there is no football to watch. He enjoys the outdoors, coffee, sour candy, chocolate milk, cars that run, clean clothes, music, good hair spray, Plackers micro mint floss, old spice deodorant, beard oils, cheap gas and brand new socks.